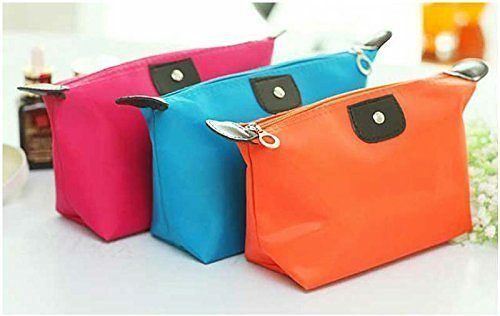 Bright Colored Makeup Bags Only $2.75 + FREE Shipping! You are here: Home / Great Deals / Amazon Deals / Bright Colored Makeup Bags Only $2.75 + FREE Shipping! Check out these fun makeup bags! Right now, you can get these Bright Colored Makeup Bags for just $2.75 with FREE shipping! This is a great little bag to keep in your car or toss in your purse for when you’re on-the-go! Size:21cm x 8cm x 12cm – 8.27inch x 3.15inch x 4.72inch.